LUCKNOW: Amid anger over the attack of two dry fruit sellers from Kashmir in Uttar Pradesh’s capital Lucknow, it is the residents of the city that the men are most thankful to. The two, dry fruit sellers from Kashmir who were beaten with sticks and threatened by a group of men from a fringe right-wing group in Lucknow on Wednesday, were rescued by a few local residents of the city. Four of the attackers have been arrested after videos of the attack were widely shared. They (attackers) said we are terrorists. We were told that we sell items here and throw stones there. They started thrashing us. They asked for our Aadhaar cards. We showed it to them,” Mohammed Afzal Naik said, describing the traumatic moments before the media and the police. “This is a , very unfortunate and one off incident which has happened. We will crack down on such incidents with the entire force of the law. 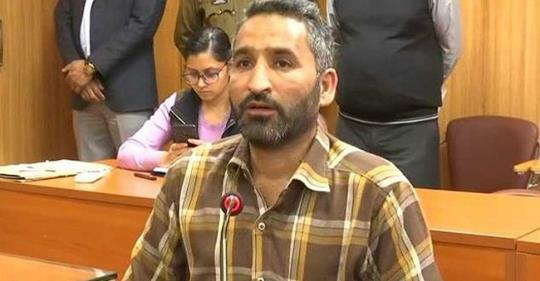 Nobody is above the law and nobody can target innocent citizens like this… The strongest possible action will be taken to target innocent Kashmiris,” senior police officer Anand Kumar told NDTV. Jammu and Kashmir politicians Omar Abdullah and Mehbooba Mufti as well as the Congress, the Congress, the Aam Aadmi Party and Asaduddin Owaisi have condemned the brutality. “Nothing will do more damage to the idea of India in Jammu and Kashmir than videos like these,” Mr Abdullah said in a series of tweets along with the video post. The incident in Lucknow comes amid the nationwide backlash on people from the Kashmir Valley following the February 14 terror attack in Pulwama. Wednesday’s attackers are members of the Vishwa Hindu Dal, a right-wing fringe group. Among them is Himanshu Awasthi, who claims to be the president of the group. He had bragged about the attack on Facebook, claiming he and his men had carried it out. The video of the attack that he shared on Facebook has been taken down. Bajrang Sonkar, one of the men arrested, has more than a dozen criminal cases including that of murder, loot, theft and arms act pending against him. Since the February 14 terror attack, there have been several reports of people from Kashmir being targeted and harassed in various parts of the country. The alleged harassment had promoted the central government to issue an advisory to the states to ensure their safety.